Set on the tranquil side of Sandy Ground, Elvis' has long been the place to be come night fall. 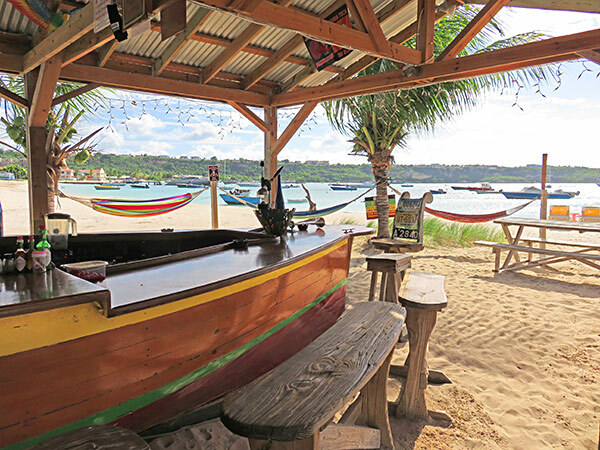 Open air and toes in the sand, potent drinks flow as reggae favorites come through the speakers. 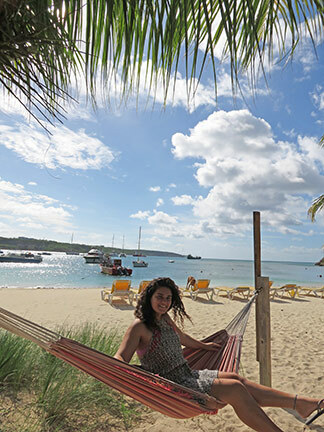 The vibe is classic unpretentious and laid-back Anguilla. 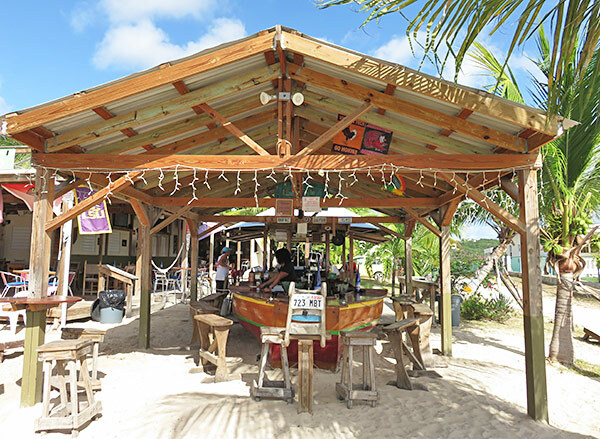 It is your quintessential Caribbean beach bar. With all of the right ingredients, it's no surprise that Elvis' is a favorite watering hole for most. World-famous, even the Travel Channel can't get enough of Elvis' (see video below)! Armed with quick wits and stories that make your eyes go wide, Brett and Elvis keep the fun times rolling on Sandy Ground. Elvis' boat bar on the beach is the second most famous part of Elvis' beach bar (only after Elvis himself, of course!). 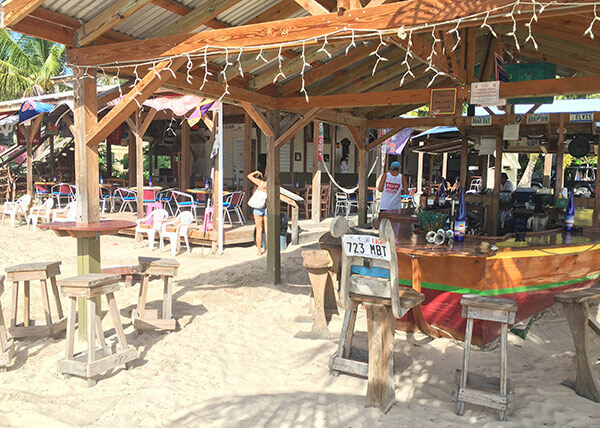 The beach bar looks out to a sandy dance floor that swells during Elvis' full moon parties. A projector and big screen makes up the backdrop, playing sports through most afternoons and nights. TIP: Come football season, Elvis' is the place to be. If the football flags didn't drive the point home, Brett takes his sports seriously! 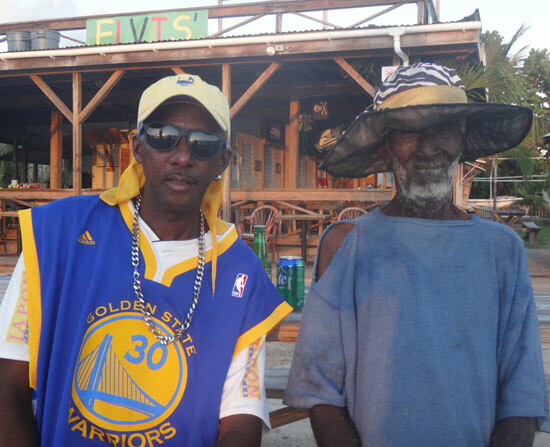 You never miss a game in Anguilla thanks to Brett. 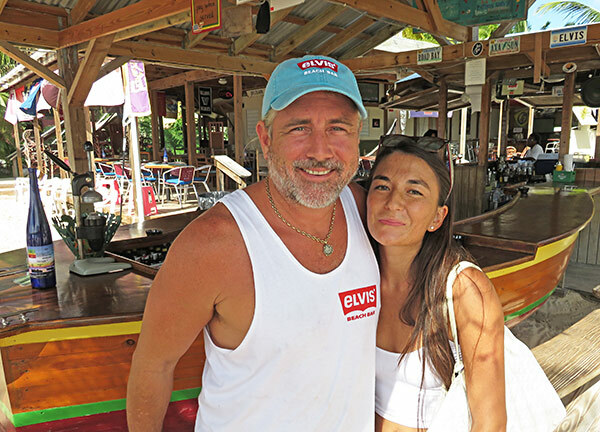 In addition to being a nightlife hot spot, a favorite for a sunset cocktail, and a destination for sports lovers, Elvis' is also a solid pick for a barefoot dinner and long, lazy afternoons filled with rum-induced snoozes and tasty beach eats. A number of specialty cocktails, margaritas and crisp rosés make up Elvis' drink menu. 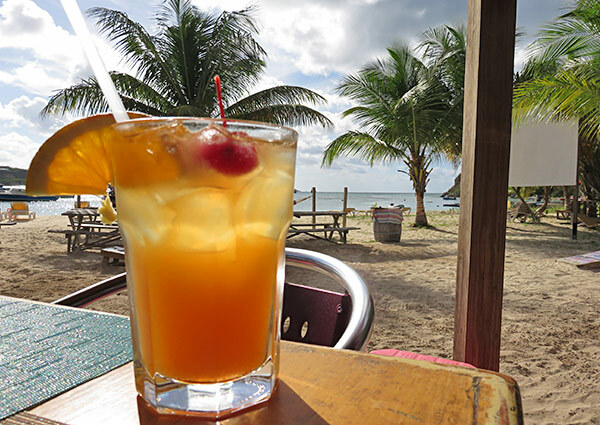 Tempted by the margaritas (given the Mexican menu), in Anguilla we "go" rum punch every time. And, Elvis' is one the best. The lunch and dinner menu features Tex-Mex favorites with Anguillian twists. For example, the "Goatchos." 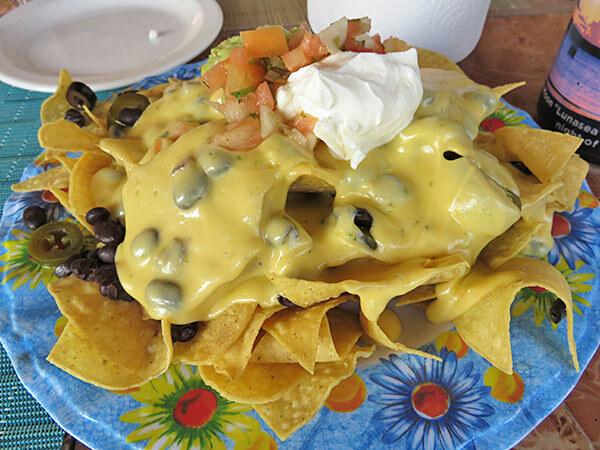 Elvis' nachos are topped with slow cooked local goat, a favorite meat here in Anguilla. Brett advised we get a half order. An excellent call! It's a sizable portion even at half size. Loaded with black beans, jalapeños, olives, guacamole and the very best part... warm, house-made cheesy-pico sauce. By the end of the plate, we were almost wondering if we should have gone with the full order. Next up? Elvis' Fish Tacos. 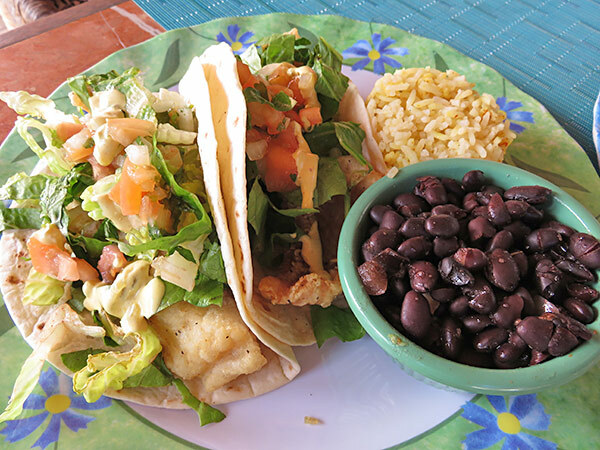 Many claim that these are the best fish tacos in Anguilla. From your first bite of the snapper, the reason becomes apparent. Large pieces of snapper are lightly fried, wrapped in warm tortillas and topped with lettuce, pico de gallo and a secret zesty sauce that perfectly complements the snapper. The snapper itself is cooked right, piping hot, the batter light and crisp. Rice and beans are served on the side. Also on Elvis' menu are "Fresh Mex Bowls" (choice of ground beef, pulled pork, shredded chicken, Jerk chicken), burritos, burgers and a variety of tacos, including goat. 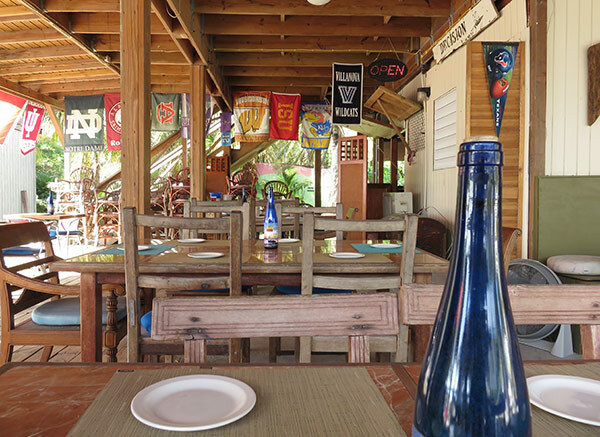 A must-try in Anguilla, the goat is calling our names. Happily fed, "one more rum punch, please" we asked our waitress. Beach chaises and hammocks dot the sands surrounding Elvis' restaurant. At Elvis', there's no rush, no hassle. Just 100% smooth Caribbean vibes. This is beach bar living at its best! Elvis' is open for lunch, dinner and late nights 7 days/week.